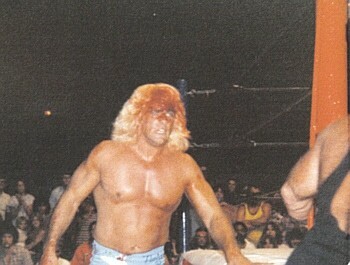 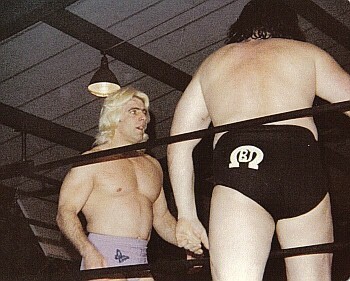 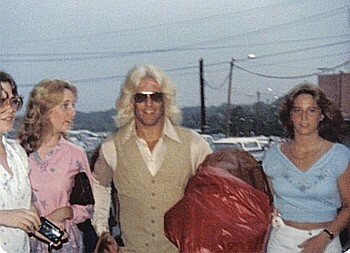 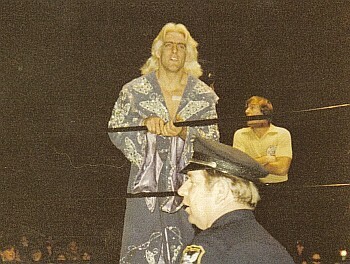 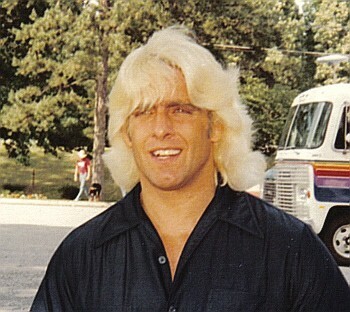 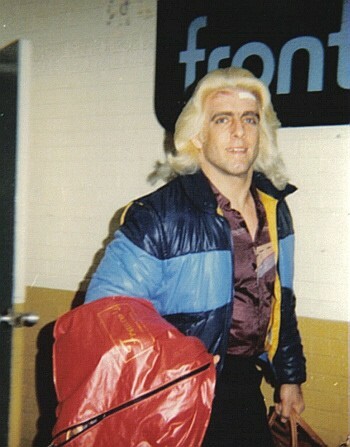 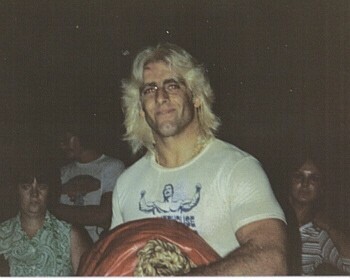 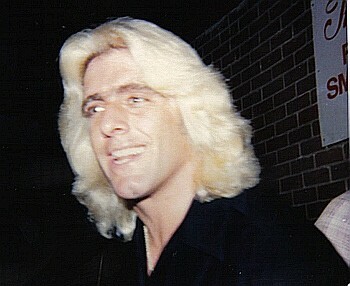 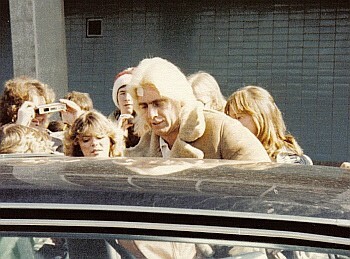 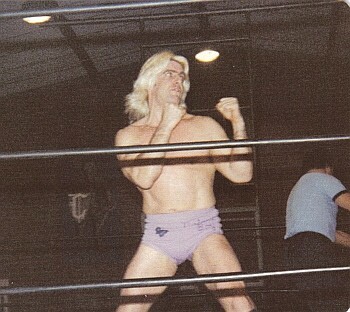 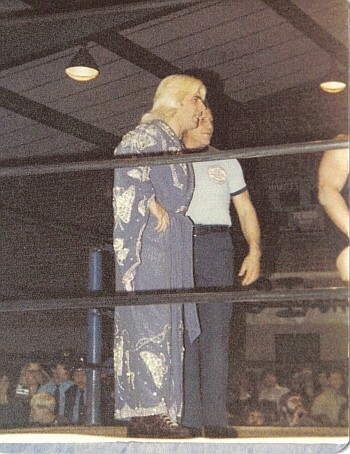 MOST OF THESE PICTURES YOU SEE BELOW OF RIC FLAIR WERE TOOK FROM THE EARLY 80'S AND I THINK EVERYBODY WILL ENJOY THESE PICS. 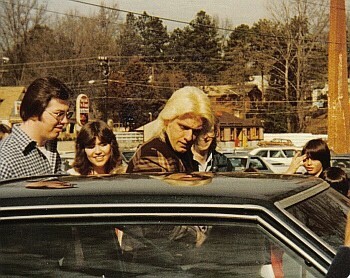 I WOULD LIKE TO GIVE A SPECIAL THANKS TO ROBERT MOXLEY FROM CHARLOTTE, N.C. FOR SENDING ME ALL THESE PICS WERE I COULD USE THEM ON THIS WEBSITE. 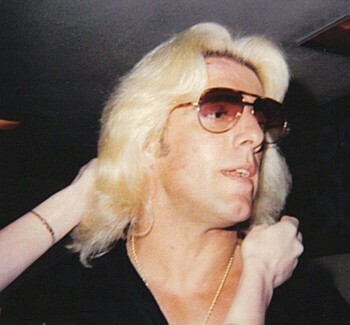 LOOK AT WHAT RIC FLAIR HAS IN HIS HANDS IN THIS RECENT PICURE, IT IS THE WORLD HEAVYWEIGHT TITLE, EVEN THOUGH IN THE STORYLINES HE IS NOT THE CHAMPION RIGHT NOW, THE BOTTOM LINE IS THAT HE WILL ALWAYS BE THE REAL WORLD'S HEAVYWEIGHT WRESTLING CHAMPION FOREVER AND EVER.